We welcome you to Saint Frances Cabrini! 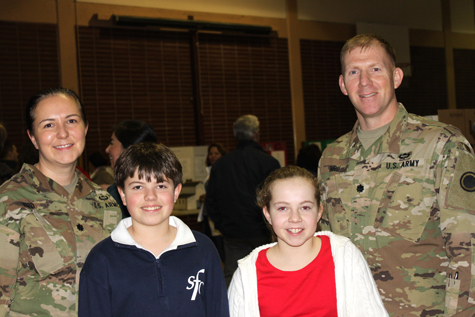 Since 1953, St. Frances Cabrini has been the Catholic School of choice for the Joint Base Lewis McChord (JBLM) community. 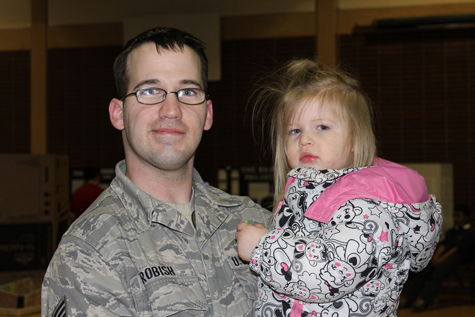 We provide a warm, nurturing environment for our military families who face unique circumstances, including frequent moves, constant changing of academic environments and peer acceptance. School Ambassador Program – New families are paired with a “buddy family” to help them transition to the school during their first year. Teachers are skilled at helping students be successful at school while a parent is deployed. 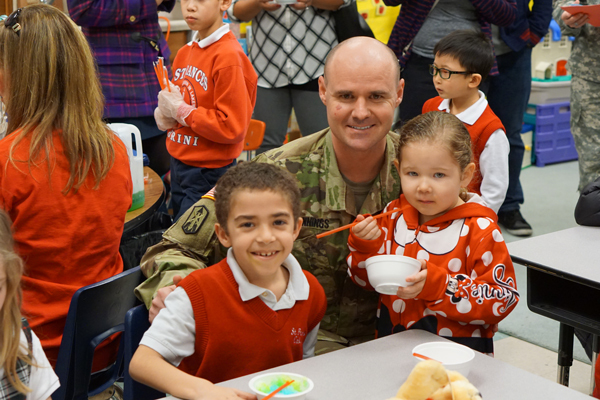 The over 8,000 Catholic Schools in the United States have a similar curriculum which provides continuity for military families when there is much in their lives that is uncertain. Proximity to JBLM – Conveniently located off I-5 exit 125. Small school size allows students to quickly become part of the school community. 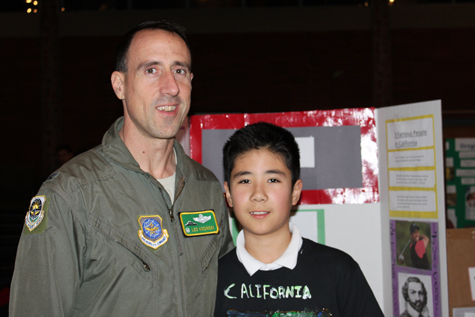 The rich life experience of military children enhances the education of all our students. 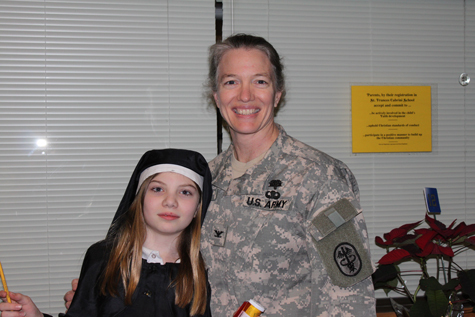 St. Frances Cabrini has a long-standing relationship with JBLM. 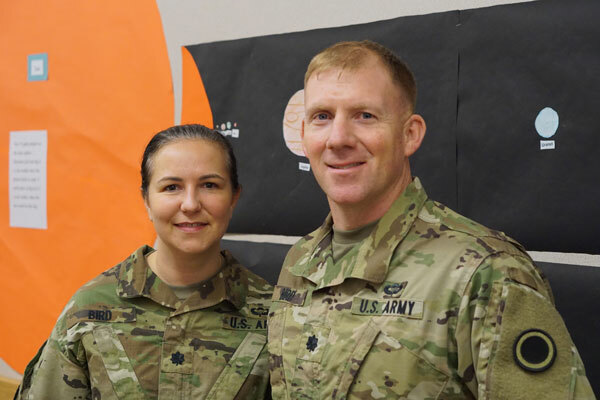 Recent field trips to the base have included the opportunity to participate in a “Combat Mass” led by the Catholic Chaplain, eat in the dining facility and be briefed by the I Corps Commanding General. A highlight for the Cross Country Team each year is participating in Army Physical Fitness Training led by soldiers. 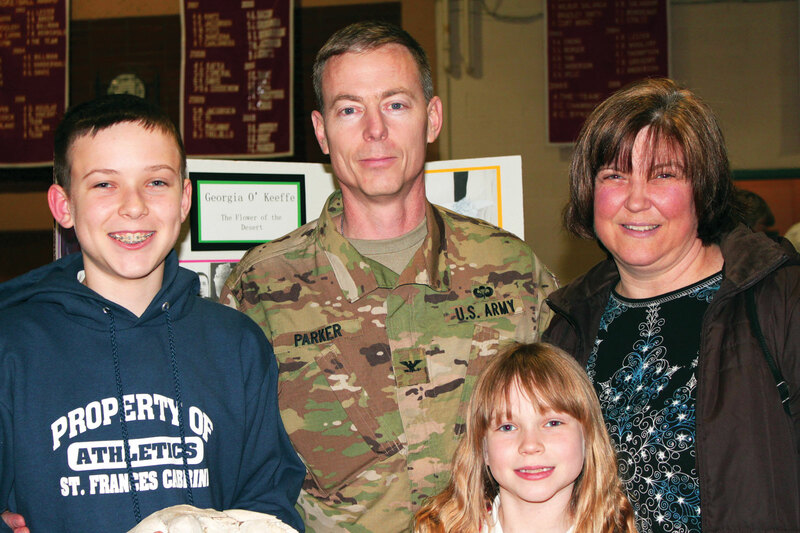 The school also gives back to the military community though various service projects throughout the year. The principal of St. Frances Cabrini, Ms. Monica Des Jarlais, is available by email (mdesjarlais@cabrinischool.org) to address any questions you have about the school. 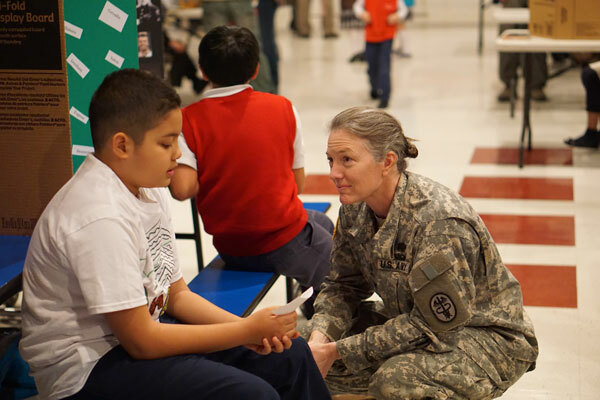 Ms. DesJarlais is very familiar with the needs of military families, including midyear transfers and support during deployments.